Everything comes from a legacy passed down from his grandfather, made up of 14 cows and a farm with 5 or 6 hectares with olive, almond and carob. With the impositions of milk quotas and the limit of growth, Stefano sells the cows and quarrels with his father, starting the breeding of snails, mushrooms and bees. Finally, after several attempts, he begins to produce seedlings and make them buy and sell, even stopping at the edge of the streets and selling from the bonnet of his Ritmo. From here begins the gardening maintenance requirements. Stefano opens his VAT number and starts the nursery production, although very small, in small numbers and aimed at retail or small gardens maintained by him. Production takes place in yogurt jars, to save on costs. Among the many cultivated plants there are many olive trees. Stefano assumes his first collaborator and, after many sacrifices and after obtaining the first results, finally makes peace with his father Pierino. In that year Stefano participates in the Monopoli craft fair, which marks a first showcase for the company: the construction of the temporary garden around the square of the Milite Ignoto of Monopoli. During the realization, Stefano becomes dad for the first time: welcome to the world, Leonardo! Stefano's passion for gardening and rare plants leads to the first plantings of the Botanical Garden where the first rare plants are grown. 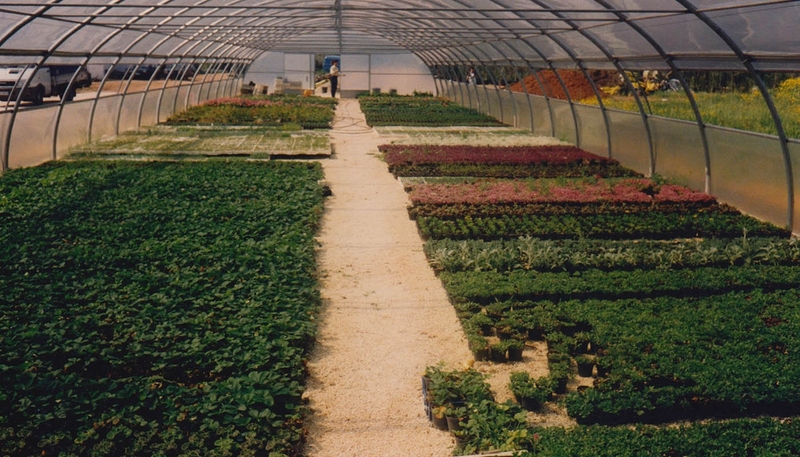 The nurseries make the first greenhouse, still visible and operational. Stefano enrolled at his first fair in Rome: a positive experience, but ended with the theft of a truck full of plants sent for the exhibition. By scanning every single slide, the company makes its first catalog. Right here appears for the first time the Color, which turning into "The Color in the Garden", becomes the corporate pay-off. Stefano decides to abandon the maintenance of the gardens, dedicating himself definitively and exclusively to the production, extending it. His experience in gardening soon led him to create a unique portfolio of plants, capable of competing nationwide and beyond. 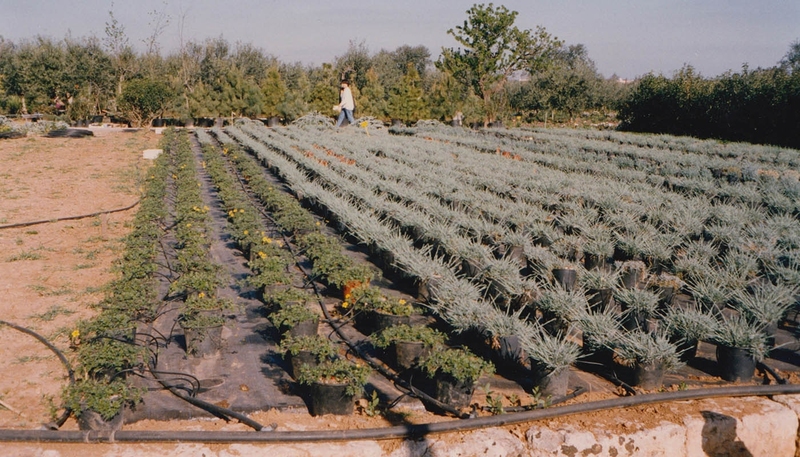 The wealth of the assortment begins to arouse the interests of the largest nurseries in Italy. The main buyers at national level come to the nursery with empty trucks, bringing all the staff of the nurseries to work intermittently to fill them. Thus was born the tradition to go out and eat dinner all together, after a big purchase. Leonardo, twelve years old, faces the farm for the first time as an agricultural laborer, doing small jobs. "When you come home in the evening with a painful backing, if you have been useful, you will feel satisfied": here is the phrase that Stefano, every day, tells his staff and his son. Among the most beautiful flowers of the year comes the new daughter Delia Capitanio. Leonardo grew up and, together with his brother Simone, began to work constantly alongside his father Stefano. The first pay was a Nokia N-Gage, which cost him 3 days of hard work with the pruning of 400 calistems. Stefano founded, together with 6 colleagues, ANVE (National Association of Nurseries and Exporters) of which he will be vice president. The company reaches 35 hectares of extension. The expansion process, started in 1997, ends with the purchase of Casale and Gradone, bringing the number of employees to 80. The company wants to move forward and is totally projected towards growth, making investments to prepare itself for increasingly large orders beyond national borders. This is a critical date that marks one of the most painful moments of the company: suddenly Stefano is missing, leaving the company without a guide in the most crucial moment of its growth. Leonardo finished his studies a few days later: he abandoned any desire for an academic career, taking the reins of the company and the path traced by his father Stefano. The combative and working spirit of Stefano does not abandon the company that, beyond the tragedy experienced and under the new control, manages to close the year with an important growth. 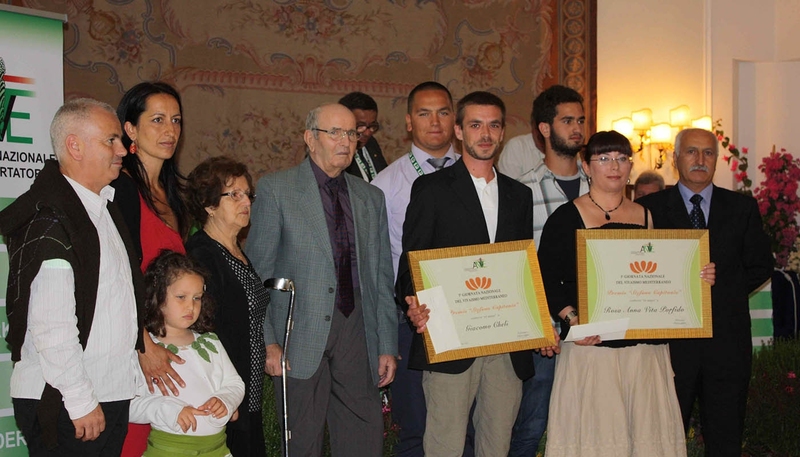 It was during this year takes place the first national day nursery in the Mediterranean, held at the nursery, with the delivery of Stefano Capitanio scholarship. The first international fair in Athens that, in a few years, gave the nurseries the great honor of participating in the plantings of the Park located inside the Hellenic capital. The nurseries have a new Head Quarter, with multiple offices and a call center to offer cutting-edge service to all customers. The growth does not stop and Simone, who does not even have time to finish his computer studies, returns to Puglia to support his brother Leonardo, taking control of the production activities. The plague of Xylella is a looming threat on all the nurserymen of Puglia. 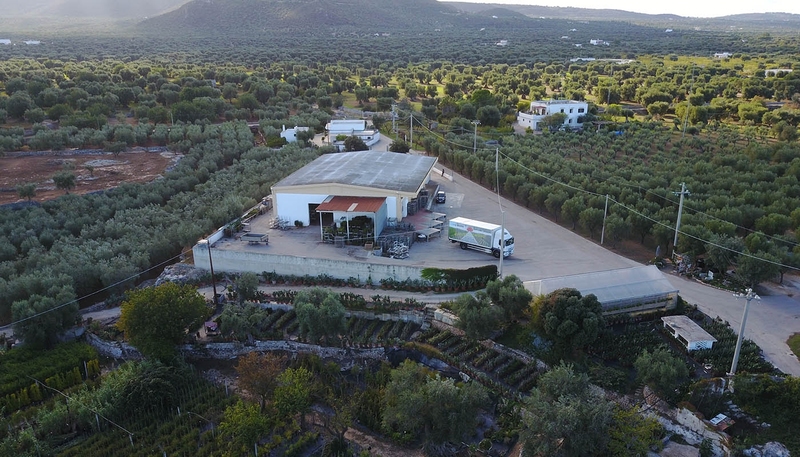 Nurseries join forces with the University of Bari for a research project aimed at defining a production protocol capable of obtaining plants in Puglia 100% free from Xylella. Leonardo leads and perfects in his nurseries a technique of planting and cultivation: Lynfa is born. In the Botanical Garden is inaugurated Farfalia, the first home of native butterflies in Italy. On April 15th Stefano, son of Leonardo, was born. The company continues its path of growth, with its feet firmly rooted in the lands of Contrada Conghia in Monopoli and its eyes focused on the stars.